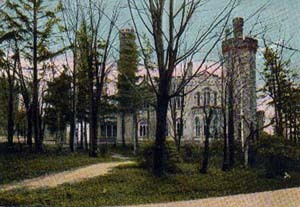 This is a photo of Yates Castle - Syracuse, New York. I saw your picture of Yates Castle in Syracuse, NY, and noticed that there was no info given about it. I live in Syracuse, and I thought you might want to know a brief bit about it. Preliminary research for this page done by Phil Bilzor.